As we are close to Christmas, I wanted to present some photos of my Diorama Winter Village in the full 2018 version, never presented before. This landscape completed in 2016 is the result of 5 years of work. Each building from the smallest to the largest has been built with a continuous search for quality and study in the details of the interior furnishings. The diorama currently consists of 42 bases of 32x32 studs with 300 minifigs and over 62,000 pieces. I was fortunate to have been called to exhibit my complete work at the "Palacio de Gaviria" art museum, Madrid, Spain for a period of 3 months from 10 December 2018 to 24 February 2019. On my Flickr profile you can see some other photos as a whole and in the other Albums you can see the details of each individual building that make up the village. Thank you all for your comments and for the vision of my project! This is gorgeous, really hope they'll produce your Ideas submission! Truly stunning! Congrats on the display, the layout is wonderful. Happy Holidays. You will need a new house to display the whole of it. Wonderful work. 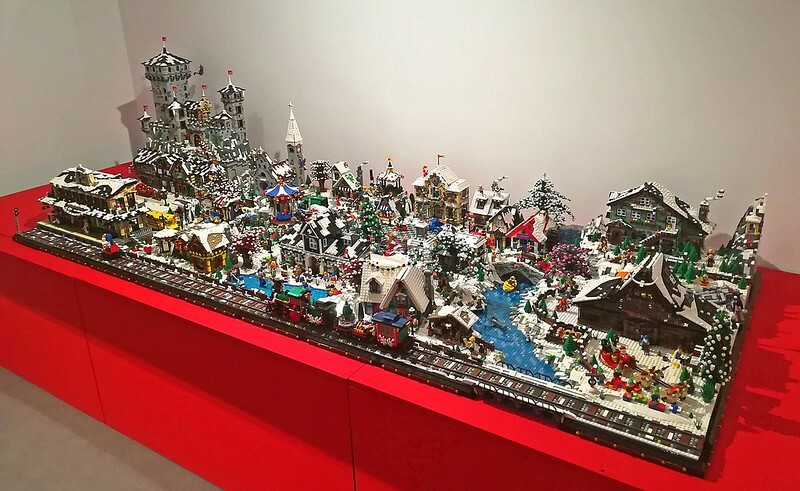 I absolutely adore your winter village and I have pored over the many wonderful details in your flickr albums many times over the years. I would love to see it in person but that is unlikely to happen since I live in Australia!! it is a true work of art. Magnificent work on every level. That's amazing, man! Well done! Thank you at all! This diorama has meant a lot to me! I met you on 30-7-2016 at the exibition in Lecco and seen it my self, it was amazing to see. A wonderfull piece of art work, with lots of detail, including the insides, and the hidden marbels. you inspired me for our own WV. happy holidays , best wishes for the new year. Thank you so much André! I remember our meeting, it's always nice to entertain people!